First Impressions: Holy Cow, this is fantastic! I’m so in love with this palette, it has become an absolute staple in my daily routine and I cannot live without ALL of them. The colors include (from right to left) Dim Light, Incandescent Light and Radiant Light. 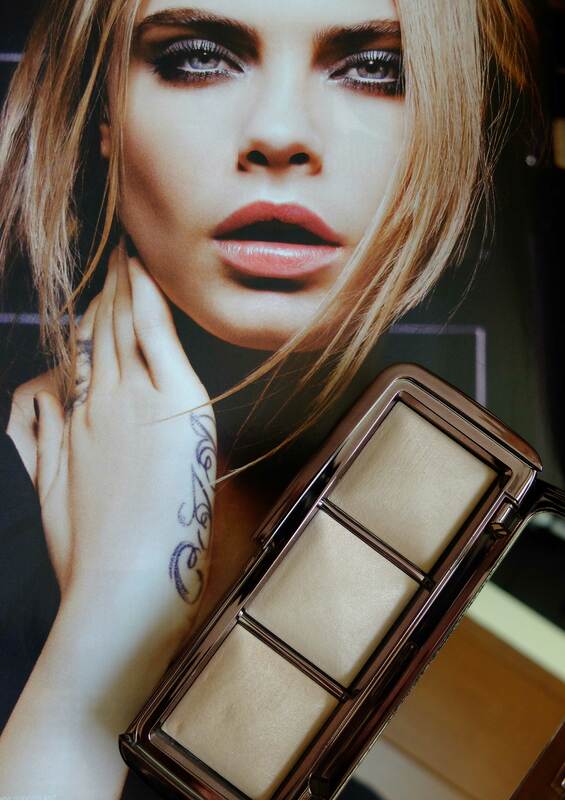 The powders are finely milled providing a realistic glow that is not over the top and registers natural on the skin. The pros of the palette is that it can be used as an all-over glow powder to add a little something as a finishing touch or as a stunning highlighter on the tops of the cheeks (and anywhere you desire!). I’ve used it to set my concealer as well as add a sheen to my skin. The powders blend seamlessly and don’t cling to dry patches or bring them to notice. I’d say the first two shades are amazing at setting the skin and the last one is quite a sheer highlighter. All in all this is a luxe product absolutely worth buying! Tell me: What Hourglass products are you a fan of?